#1 best-selling author Mark Joyner, the man people like Dearl Miller call “the greatest marketing mind of our generation” has just released his new book, but it’s not yet available at your local bookstore. Instead, he’s letting you download it now for free. If you want to learn how to grow your business, this is an absolute must-read. And the Integration Marketing Deal Board you’ll find there is one of the most powerful marketing resources on the net. Do you know what a “firesale” means? where you bundle a dozen or so products for one low price. over the roof, since everyone wants to get it before the price increases! the purchase of a business, with firesales. It works! Earn Lazy Money Online! Really? Last week, I have read several ebook about internet marketing. Today, I would like to share with you how to earn lazy money online. A IM friend of mine, Matt Garrett sharing how he’s make lazy money on the internet. If you very lazy to selling digital product online, create product, or promote affiliate product. Then please pay more attention to this post. You’re about to learn how to make lazy money on the internet. 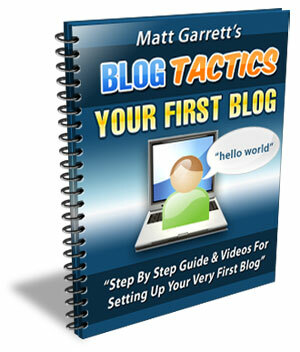 Attention, you won’t make hundreds or thousands dollar overnight from the lazy method in the ebook. I love the ebook, because he’s explained pretty clear what you should know to do more and what you should know BUT do less or no need to do. It’s save you time and effort doing useless thing. That’s why I recommended this ebook to those people who just get started or only can do invest 2-3hours per day. If you’re selling online or doing other marketing, then you should know online selling have a lot of things to learn trial and error. Especially give support, write email, setup salespage/download page/ squeeze page, play SEO, and many more. If you’re one to do all the things I talk just now and you only can spend less than 2 hours per day, I think you have to spend at least 1-2 weeks to setup a simple salespage to sell online and maintain it to give support. Or headache with write email, salesletter, squeeze page and all kind of things. Even if you’re doing affiliate marketing, you also need to write good email to sell your subscribers or customer list. Some people may say, those kind of things can outsource and hire expert to write the email or salesletter. May I know how many people can afford to hire people to do all those things when they just new to internet marketing and low of budget? Why so many people want to make money online? Everyone wish to have extra hundreds or thousands dollar a month to buy more things, travel, shopping or clear their debt quick. If you wish to make money online BUT only can invest 2-3 hours per day and lazy to give support, write email/salesletter or cannot afford hundred or thousands to hire people do all kind of things for you. Then look no further to this Lazy method ebook. Posted on May 30, 2007 Categories Clickbank, eBooks, Internet Marketing Update, Product ReviewsLeave a comment on Earn Lazy Money Online! Really?